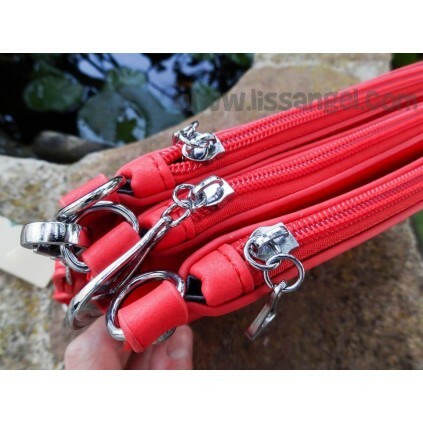 A bag of striking red color, has adjustable handles and wrist strap. An owl made with bright stones is decorating the front side of this animal bag. 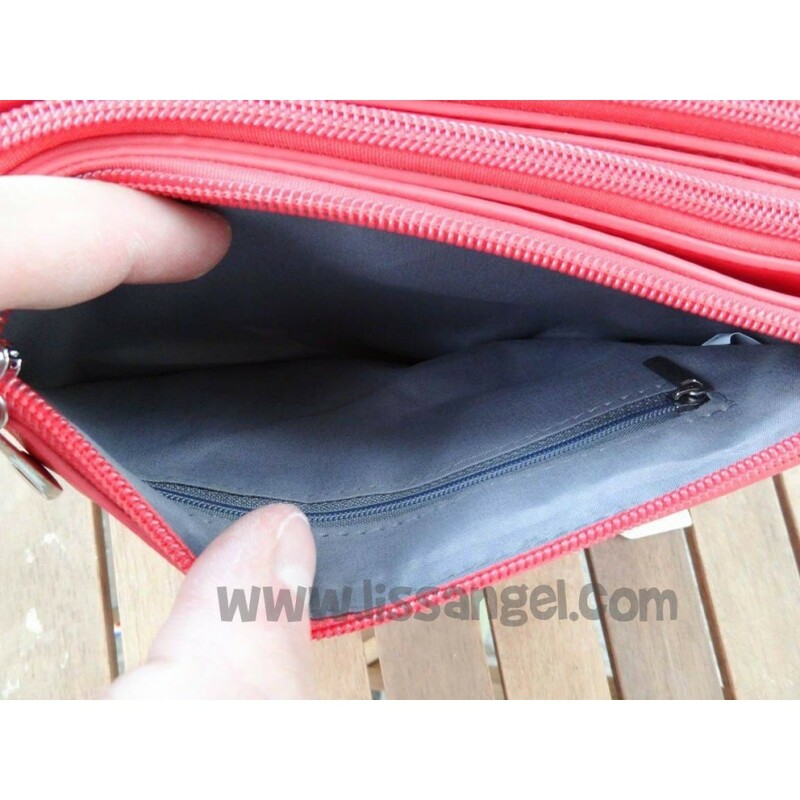 With this highly practical bag, you can choose at any time how many parts take depending on the situation. Composed of three equal parts attachable together by very robust "click" buttons, you can separate each parts easy and fast. It has adjustable handles for shoulder, which can be placed in any of the three parts of the bag, and a small handle wrist. 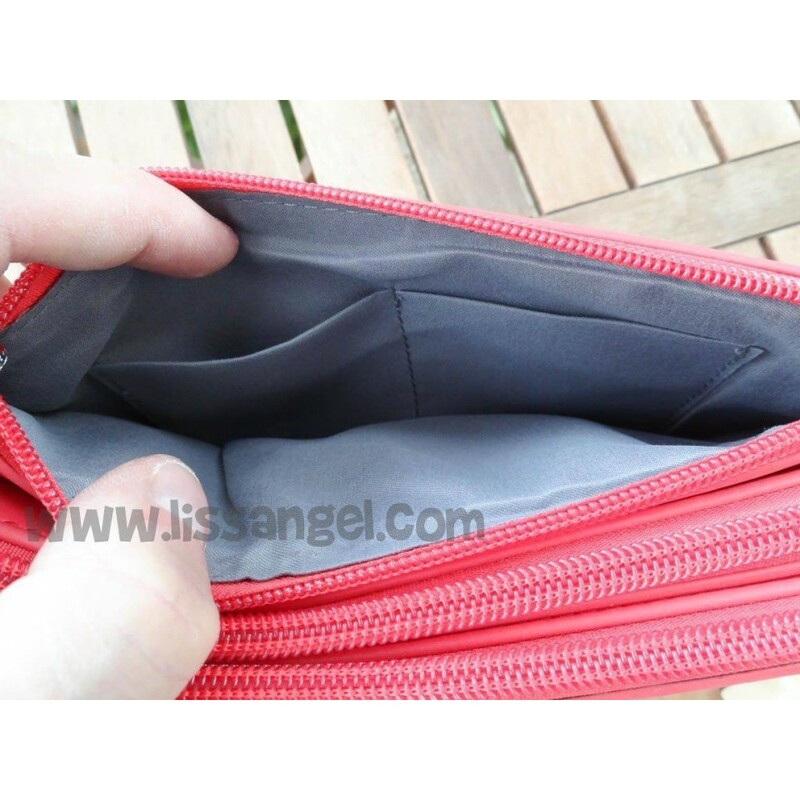 Two of the three parts have inside pockets, one of them two open pockets, and other part a zippered pocket. The front is decorated with the beautiful owl design, made of bright stones of silver and black colors. Size: 25cm x 17cm wide tall.